I think that a CVRT transmission would be ideal if it can be fitted into the shape of the hull. CVRT final drives might solve that problem too. Good decission to use the Jag engine. It will sound right and fits nicely. Not a bad idea but I wonder where one might source the cvrt components and no doubt, they cost a kings ransom. Anyone know where such items may be purchased? petrol cvrt engines and gearboxes should be cheap as everyone seems to want the diesel variant. the final drives however might be a problem. i'll ask around for you. CVRT final drives are the easy bit to find and they are not expensive. Gearboxes are expensive though, expect to pay £2k for a good petrol one and quite a lot more for diesel. The track links would be very welcome, could you find out how much he wants for them, I expect shipping would be expensive. I thought the gearbox and final drives were going to be expensive, it may be back to plan A and cobble something up, in a very English sense. I have just spoken to the gentleman an CVRTpro and it would seem that a CVRT gearbox would be ideal. Depends how fast you want to go. The other option is go hydraulic motors from an excavator. Much simpler but slow. If Andy Baker can't sort you out for the right price, yet another option is to buy a Samaritan/Spartan sell off the wheels and tracks and anything else you don't need, takeout the running gear and weigh in the hull for scrap. There's also a 432 just come on ebay for a fairly modest amount, at the moment. The Stug builders seem to use 432 running gear. Good power, lower speed compared to CVRT. A mate of mine has the cvrt parts. I'll get a price off him. I have made a start on the track idler wheels, the initial piece of 180mm dia solid, has been following me around for the last 16 years, many times I have been tempted to scrap it but I could never quite bring myself to do it. It has survived a divorce, I have tripped over it, stumped my toes on it and used it for no end of things but at last it's true purpose has been revealed. How it gets from this bearing house to the idler wheel requires a lot of work, a cunning plan and some imagination. I have some lumps of steel like that... 3 house moves... one day their true purpose will be revealed! Looking forward to the next installment! If you're ever down at the Tank Museum, give us a shout! The trouble is, how much do you keep. My wife tells me never to throw stuff away but I have some items that I have no idea what vehicle they are off and the danger is, as I have told her in the past, if one has a random wheel from a dodge, then surly one has to buy a dodge at some point to put it on. In the case of a 2cm flak 30 gun magazine one has to make a tank. Anyone got any Panzer IV bits that they want to donate to a good cause, I know she would love me for that. When I am down at the Tank museum next year I will give you a shout. Anyone﻿ got any Panzer IV bits that they want to donate to a good cause, I know she would love me for that. I know the feeling, my Canadian Ram project started with an armoured filler cap cover. Look what the Birthday bunny bought me today, as to how its going to be fitted, i haven't got a clue but time will tell. What I need now is two drive shafts. I hope no one sold you that, saying it was a CVRT gearbox! What's your plans for a gearbox? Going for a full 432 setup? Oh no I have been swizzeled I thought it was...……...no I know its a 430 series steering box. The trouble is that although the cvrt range and the panzer 2 have totally different transmission / steering box arrangements. the cvrt transmission runs across the whole width of the chassis and the drive is positioned behind this, were as the in the panzer 2, the drive is hard against the front of the chassis with the steering box on his right hand side and the drive shaft running across his legs. This box will just fit in the space available, its going to be a tight fit and some alterations are required but I think the advantages out way the extra work required. As for the transmission, final drives and everything else, we will just have to wait and see. I haven't got a big press or indeed any of the tooling required to produce the cone needed for the idler wheel in one piece so I decided to make it in 8 individual pieces. I used what I could find, a real bodge it and scarper set up but it worked. I used a very old and hard as nails piece of oak, that I planned to the form that I required, as a press form tool. What can I add, I use what I have and none of it is modern or complicated. I am doing quite a bit of machining as I go along to make sure that it all runs as true as possible, so its taking a bit of time. What are your plans for track? I wonder what the costs would be to get repro track made in China. From my experience, with aluminium castings, about a 1/10th the cost of UK, likewise with tooling costs. If you get them Lost Wax cast there won't be any machining other than cutting off the feeder and any vents. The originals would almost certainly have been precision sand cast with the pin holes cored exact size and not bored afterwards. That does result in very rapid initial wear as the high points wear down but speeds up production and reduces cost enormously. This is how British dry pin tracks were cast until we changed over to rubber bushed live tracks for Challenger II. Please, no one tell me that this can't be done, I have watched new Chieftain and Challenger I track being cast and watched the whole finishing process up to dipping short lengths of assembled track into bitumen paint. But it does require very close quality control and scale to do it properly so not really practical for a single vehicle set. BRDM, where did you go to get yours cast, any information on the company would be appreciated. David, you are of course correct, much the same principle as the lost foam process and I would agree that no one is going to tool up for that process for 230 links. I am coming to, I my opinion, the 4 most expensive parts of the project, the tracks, having the polyurathane applied to the wheels, the springs and the final drives. The springs, I think I have a plan for, the rest is some time off but I need to start considering my options and I can do that as i finish the Morris. The finished article, well almost. I have still got to make the end cap and the oil seal retainer for the rear of the bearing housing. My experience was with Aluminium die casting for a non-tank related product. Tooling is usually eye watering! China will do it for a LOT less. There also places in the UK that may do a modest run of sand cast parts. It would be worth having a google to see if there is a foundary near you. We have a small foundry down here in Dorset that does Steam engine parts etc, mainly cast iron and aluminium though. 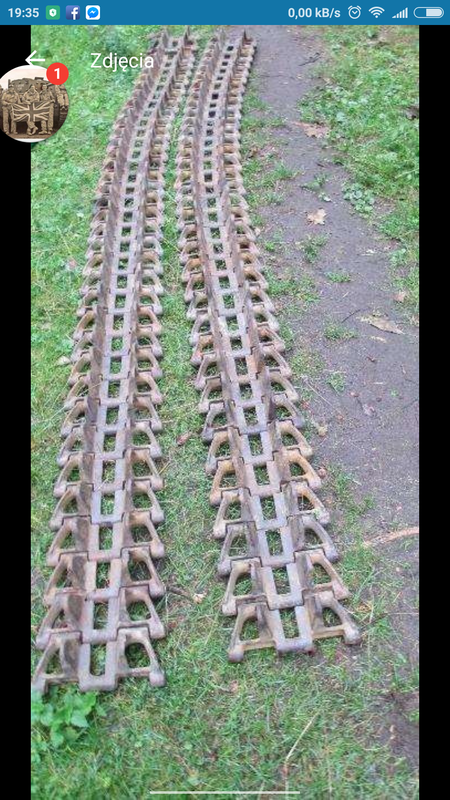 The Weald foundation got thier Renault FT track links made - they would be able to point you to someone too. If you can find some other restorers that would be interested in repro track, you might be able to get a decent size order together. (maybe try Bruce Crompton). Dealing with China is not easy. You really need to go there. But they can make anything as long as you want a container full! The other option is to find a UK based foundry that's already farming work out to a trusted chinese plant. They just had brand new Panther track made, I have heard numbers in the 1/4 million Euro range for a full set, made in Germany I believe.